Dr Andrew Crane joined grain marketer, Grain Pool Pty Ltd, in 2001. He was appointed General Manager of Grain Pool (now CBH Group Marketing and Trading) when it merged with CBH Group in 2003. He was responsible for the operation of Grain Pool including accumulation, trading and marketing of barley, canola and lupins under a ‘single desk’ export licence and then the growth of the wheat business following the deregulation of Australia’s grain export industry. In 2008 he became the CBH Group’s General Manager, Strategy and Business Development and was appointed Chief Executive Officer in April 2009. Since joining the CBH Group, Andrew has led the reorganisation of the business to ensure that grower members benefit from the dramatic deregulation of their industry. Key initiatives include partnerships and acquisitions along the grain supply chain, their subsequent integration and improving the efficiency of the broader business. As the CEO, he has led a reconfirmation with members of a competitive co-operative business model, the creation of value return measures and delivery, and valuing employees through commitment to improving safety and engagement. Prior to joining the CBH Group, Andrew spent 12 years in the European malting industry in various production, operational and marketing management positions. His last role was as Commercial Director of Pauls Malt Ltd responsible for raw material sourcing and global sales. Andrew holds a Bachelor of Science (BSc) in Environmental Studies, a PhD in Agriculture and is a Fellow of the Australian Institute of Company Directors. 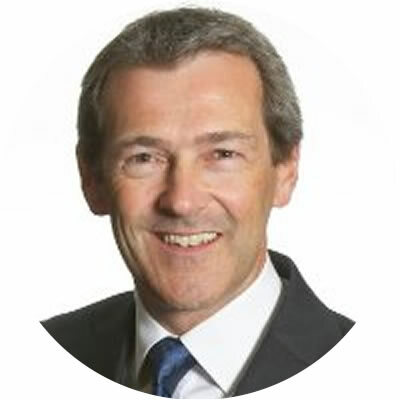 Andrew is also a Director of Interflour Holdings Ltd, the Chairman of Business Council of Co-operatives and Mutuals, a member of the Curtin University Council and a member of Rabobank Australia and New Zealand Wholesale Food and Agriculture Advisory Board.